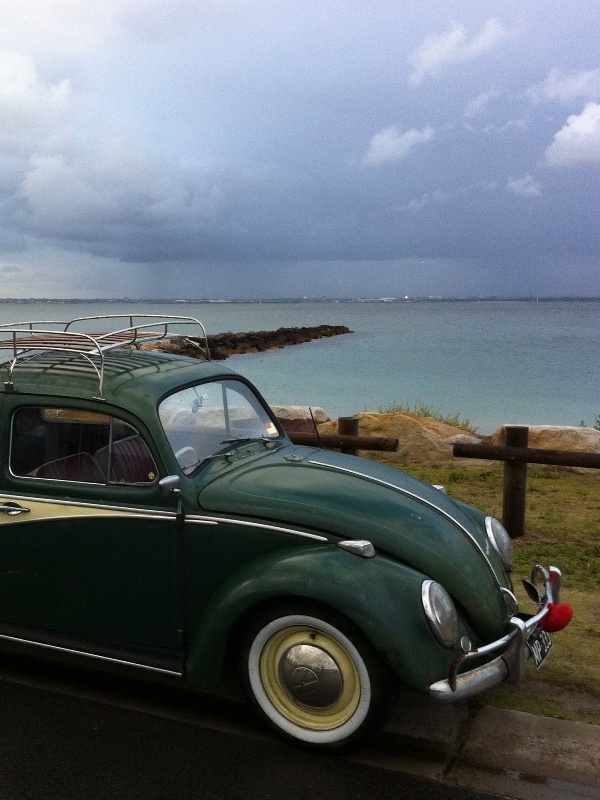 Last night I was over Kurnell way picking up some bits for a project, when I stumbled across this seriously cool bug. 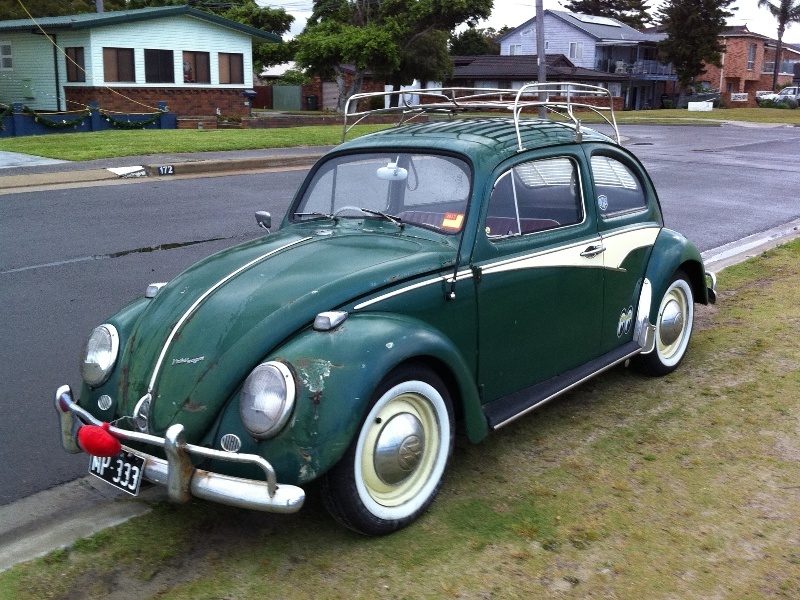 It’ll never win a beauty competition but it looks like a bunch of fun, and I’m digging the flash kit on the sides, colour coded steelies and whitewalls, roofrack and venetians. 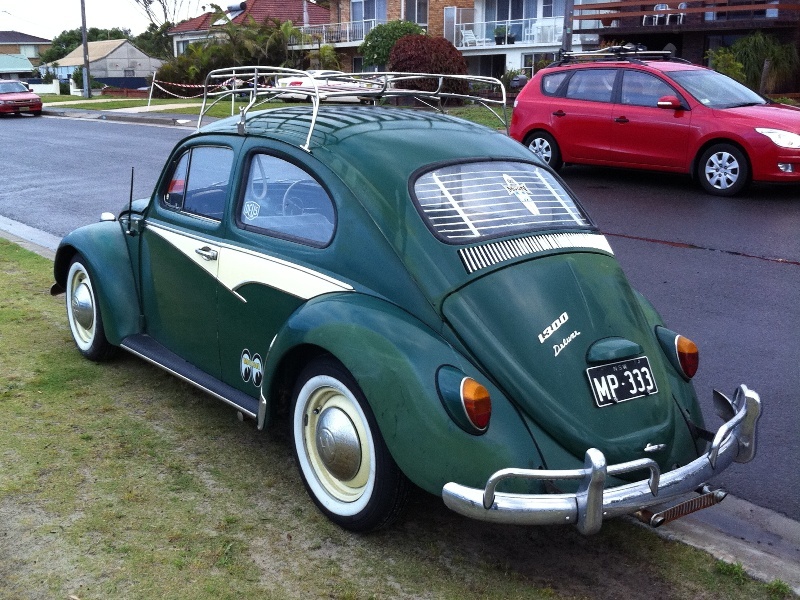 Makes me miss my old bug! 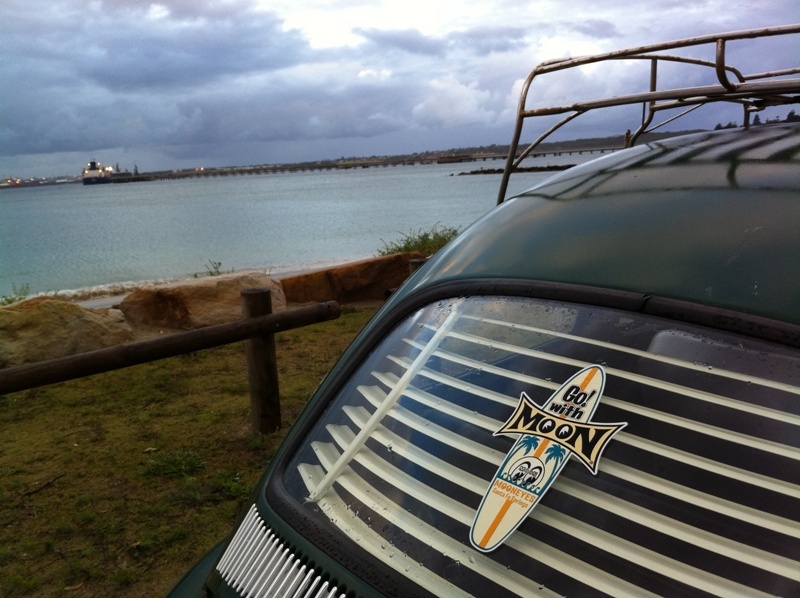 I have stumbled across this too in Kurnell, what a neat surprise!